Backed by years of industry experience, we are engaged in offering a premium quality range of FRP Base Plate. We manufacture best in class FRP Fiberglass Plate for our valuable customers. Available with us at industry leading prices, these products are known for their accurate dimension, resistance to corrosion, longer functional life and high load barring capacity. These plates are rigorously checked to ensure a zero defect range. 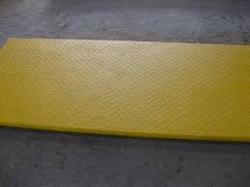 With immense support of our workforce, we are capable of manufacturing and supplying a wide assortment of FRP Base Plate. Our base plates are used in commercial, community and industrial buildings to efficiently fix the turbine ventilators. The base plate, we offer is precisely made with the aid of the cutting-edge technology. Cosmos Aventure is a leading supplier and exporter of FRP and Polycarbonate base plates all over the world. FRP/ SMC Chequered plate finds application in various chemical industries, CETP Plants along with that FRP Chequered plate is used as flooring in construction sites. FRP Chequered plates are found to be best use in food truck too. We manufactures FRP/GRP lamella plate by pultrusion process as per the customer requirements confirming to the standards. FRP Lamella plate is used for pre-treatment stage for effluent entering membrane filters i, e by segregating mud water and soil. They are used in FRP settlers assemblies for the similar water treatment application. ‘Ni-Plast’ make FRP Gauge Plates for Dam are very popular in India and installed on most of the dams in Maharashtra & Gujarat states for reservoir level measurements. These are made from high quality raw material. 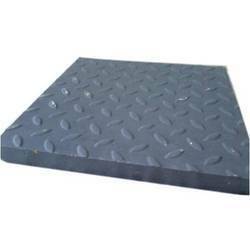 We offer a wide range of very high quality FRP Lamella Plates that are generally used in a process called lamella clarifier. Lamella clarifiers are water treatment process that features a rack of inclined metal plates.